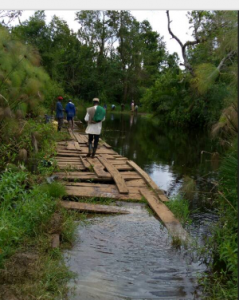 This is the current bridge that connects Kanyegaramire to the rest of the district. It can only support foot traffic and motorcycles, and floods during the wet season. Our project will be implemented in Kanyegaramire, Uganda in the Kyenjojo District. Even under ideal road conditions, it can take up to two hours by car to travel between the Kanyegaramire town center and the capitol of the Kyenjojo district, where the nearest hospital and largest market are located. 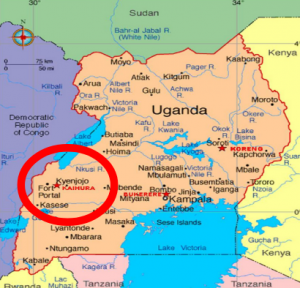 It is also where travelers must pass through in order to reach the nearest city, Fort Portal, or the national capital, Kampala. 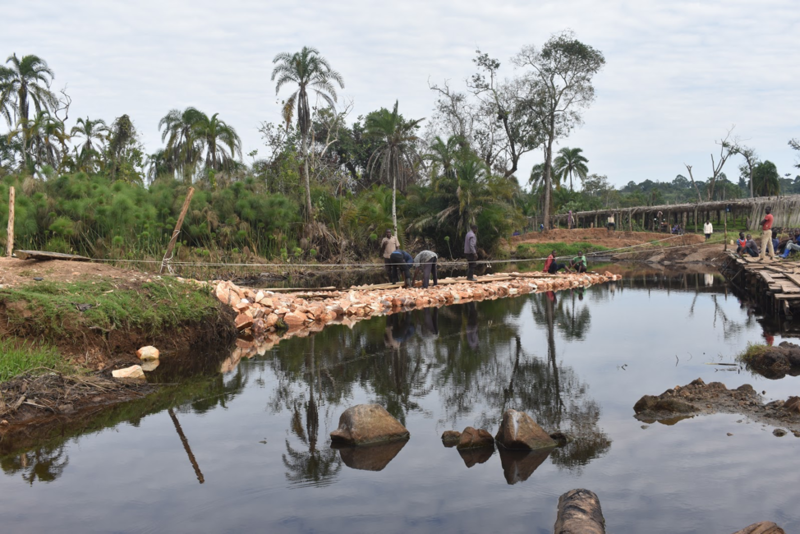 The long journey and poor road conditions discourage trade and travel to the area, impairing access to healthcare and making it more expensive to transport crops to the main market in Kyenjojo. Quicker travel is possible by crossing the bridge (shown above) by the town center, but it is unable to support vehicles larger than a motorcycle and thus unable to further facilitate trade. 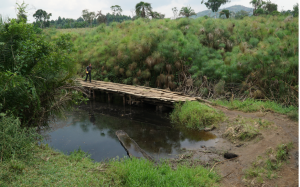 Individuals who need to go to the hospital, Fort Portal, or Kampala can cross the bridge on foot and walk kilometers to the main highway and try to take the public bus, but this is very hard for those who are ill or aging. Because Kanyegaramire is surrounded on multiple sides by marsh and wetlands that flood during the wet season, the region becomes almost inaccessible. The wet season typically lasts from February to late April, and late August to early December, during which the water can rise three or more feet above the existing bridge. Men from the area can carry people or motorcycles across the flooded bridge, charging up to one-tenth of a day’s salary for a single crossing. Individuals who cannot afford this are left stranded or must attempt to swim across on their own. Local officials say that at least one person drowns every wet season. This is a photo of the same bridge at the beginning of the wet season. It is still passable, but the crossing can be treacherous. 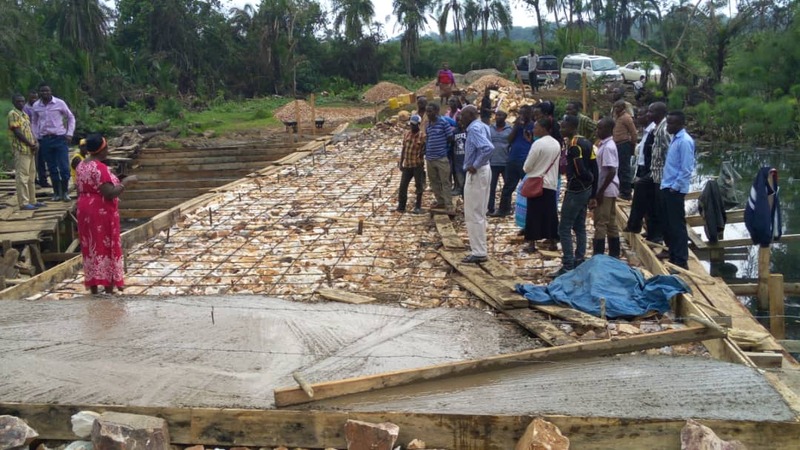 This summer, the Uganda team plans to continue construction on a vehicular bridge that will allow easier access to Kanyegaramire, for the entirety of the year. It is our hope that the increased access will empower this community by promoting trade and economic development in the area, along with facilitating access to healthcare. The vehicular bridge has a base layer of rocks. Culverts will be inserted and concrete will be added to support the structure. Men from Kanyegaramire continued construction after students returned home. They have begun adding concrete to the base layer of rocks. Construction has been halted due to the high waters during flood season. Plans for the project involve a single lane, concrete vehicular bridge raised above flooding levels. It will likely make use of a box culvert design, with a concrete frame filled in by soil. In 2017, DEID constructed a general and maternal clinic in Kanyegaramire. 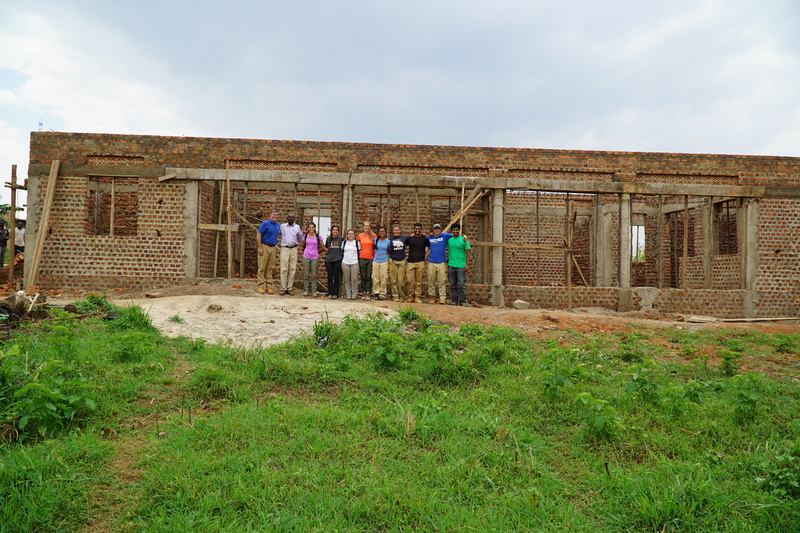 In addition to finishing the bridge, students will add the finishing touches to the clinic (plastering and painting) and installing a solar panel system so that the clinic will have power. The general and maternity clinic in 2017. A roof has since been added to the structure.